Superhero Marvel Avenger figure cake topper set. Set of 26 figures. Size 4" Tall. 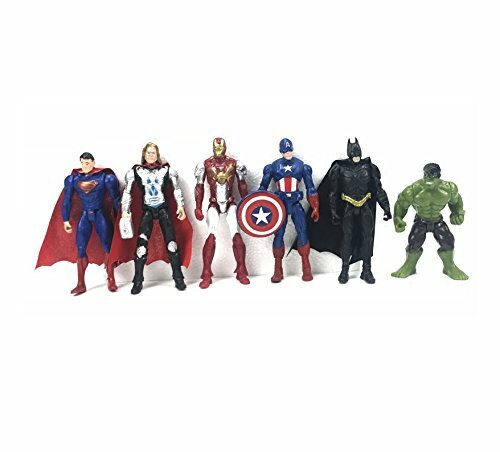 6 pcs the avengers hulk+captain america+batman+iron man+superman-thor figure us. Type: action figure category: hand to do, doll. Specification: 14cm-15cm around material: pvc. Function: collection supplies, living ornaments, small gifts package: bag. If you have any questions about this product by Astra Gourmet, contact us by completing and submitting the form below. If you are looking for a specif part number, please include it with your message.